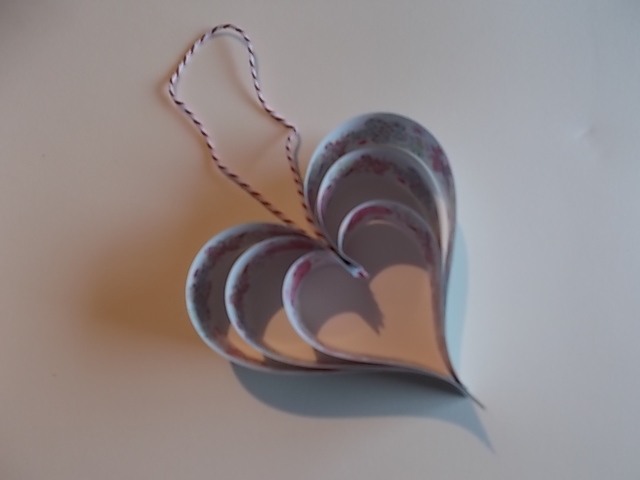 I’ve been having fun making some of the paper chain hearts for Valentines Day and made a wee video to show you how to do some yourself. I used Phoenix Trading’s butterfly and hearts paperchains. They are really sturdy and I love the fact they have patterns on both sides. However you could you wrapping paper and this double sided wrapping paper would look very cool. Just cut or guillotine in to strips and away you go. These also make great Christmas decorations too, and you can string several together to make a pretty garland.